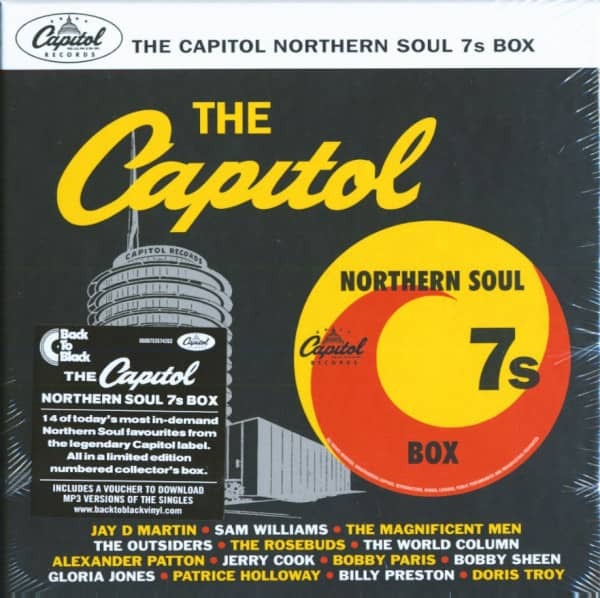 (2015/Universal) 14 tracks on seven 45rpm records. Rare and high in demand Northern Soul favourites, recorded for the Capitol label. Limited and numbered edition includes the seven 45rpm records plus a download voucher with which you can get the MP3 versions of the songs! 2550 copies were made and that's it! 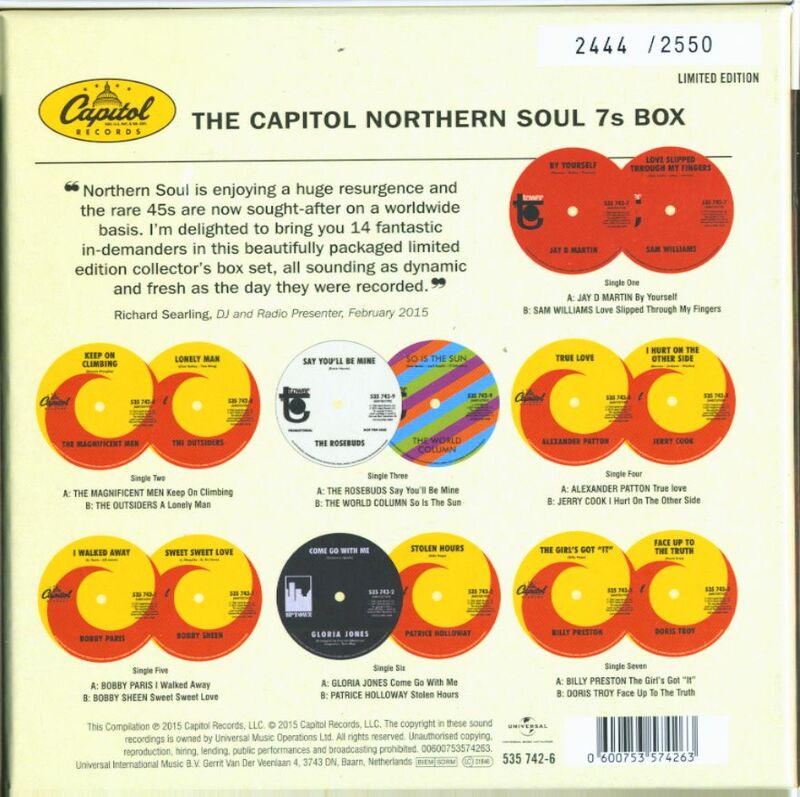 Customer evaluation for "The Capitol Northern Soul 7s Box (7x45rpm Box Set, 7inch, SC)"